The 2000 Lumens Waterproof Rechargeable LED Flashlight is perfect for outdoor activities like night running,exploration,emergency, camping, traveling, night fishing or climbing and ideal for household use. 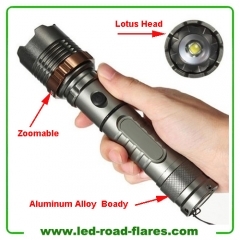 This Lotus head rechargeable flashlight is portable, easy to carry and comfortable to hold. 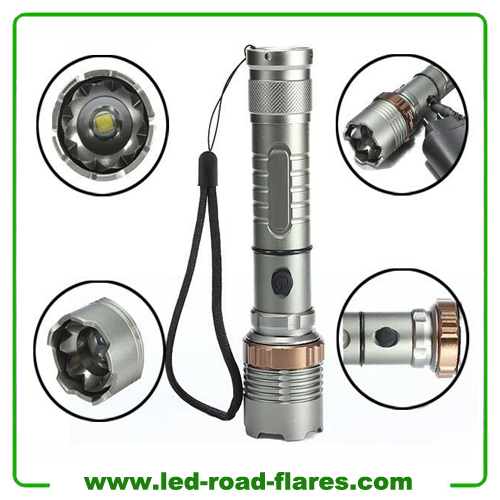 Its High quality Aluminum Alloy construction makes this rechargeable flashlight extremely durable and its wide beam is ideal for lighting broad paths and deep darkness. 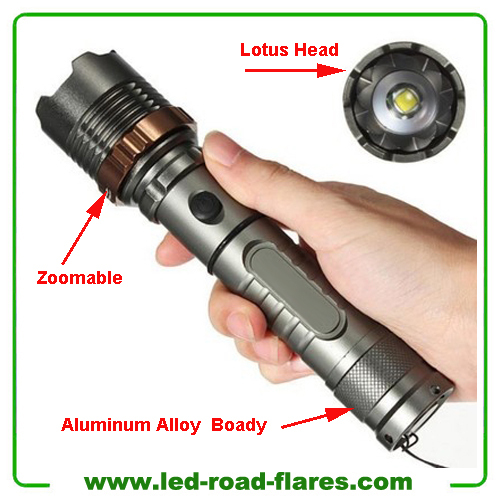 At 2000 lumens this flashlight is extremely bright and features a waterproof design. Its lotus attack head is to break the glass or window in case of emergency. 3. 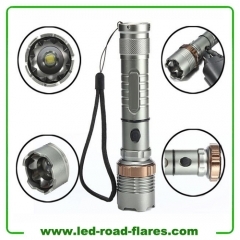 LED light, ultra strong light up to 2000 lumens with a transmission distance of 500 meters. 8. Waterproof,but don't put it into water for a long time.